corus system – carbon zero, neutral or greenwashed? I couldnt let the Corus ad on the Building website go without comment. 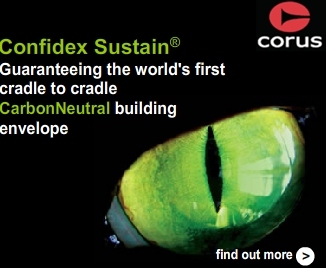 Is the Corus Confidex Sustain® zero carbon, cradle to cradle, building envelope systems nothing more than elaborate greenwash? It would appear the claim of being carbon zero (and occasionally zero neutral in the same marketing) is based soley on carbon offsets. A case of doing nothing different that paying others to handle the damage caused through production and transport, rather like the medevil indulgences? Or is there something more here and Corus have truly been able to design, manufacture, transport and construct a zero carbon building envelope? This entry was posted in construction, greenwash on May 16, 2008 by martin brown. Nothing, but nothing replaces positive action on these things – so ‘offsetting’ as Corus us is a total scam and greenwash at its finest, in my opinion. As for being the FIRST carbon neutral – I wonder what all the lovely carbon negative log cabin manufacturers make of that claim….